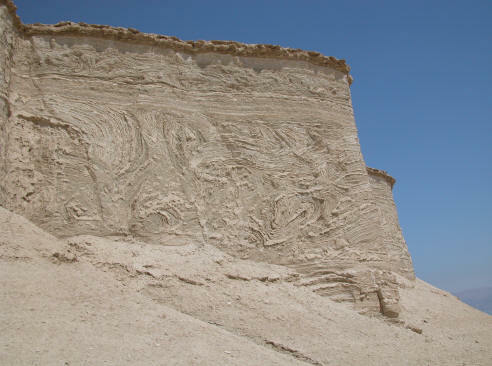 Genesis tells us that God thoroughly destroyed "the cities of the plain", including Sodom and Gomorrah. God said, "The outcry against Sodom and Gomorrah is so great and their sin so grievous that I will go down and see if what they have done is as bad as the outcry that has reached me. If not, I will know." And it says, "Then the LORD rained down burning sulphur on Sodom and Gomorrah - from the LORD out of the heavens." And, "... God destroyed the cities of the plain." Each of the cities of the plain contain evidence of brimstone which God rained down upon the cities to destroy them. We're talking about millions of brimstone balls. The brimstone is composed of 96-98 percent sulfur, with trace amounts of magnesium which create an extremely high temperature burn. 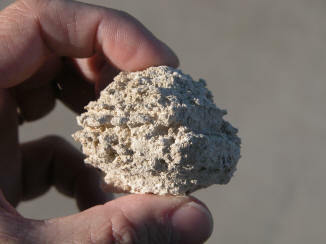 This is the only place on earth where you can find 96 percent pure monoclinic sulfur in a round ball. 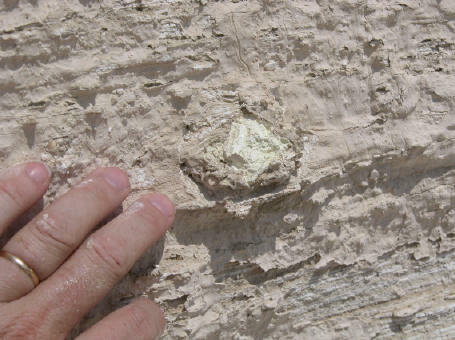 This brimstone is NOT from any type of geo-thermal activity as there is no evidence of such in the area, and geo-thermal sulfur nodules are only 40 percent pure sulfur and are of the rhombic type. Above at left is brimstone with a burned, hardened shell that has the unburnt sulfur inside, and next to it is brimstone without a burned shell. 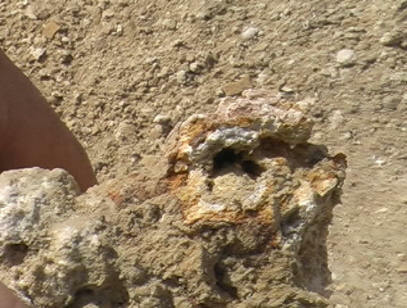 The photo at right is a shell or capsule with unburned sulfur inside. Tiny crystals are on its surface which were formed when the sulfur was burning and was in a liquid state, then it burned out. 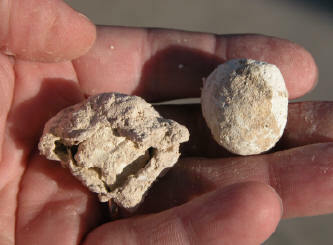 These sulfur balls are mostly golf ball sized, and some have burn marks all around them! Webster's Dictionary says that "brimstone" = sulfur. Accordingly, we have found the absolute proof that we have finally located Sodom and Gomorrah - the cities of the plain. The extremely high burning temperatures created a multi-shaded layering of ash that was formed by thermal ionization, caused by electrons repelling and attracting, creating a swirling effect in the remains. 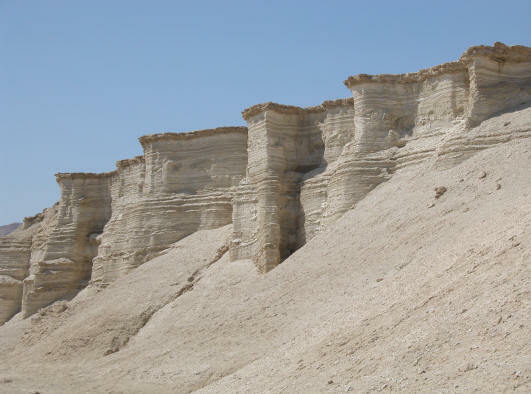 The intense fire which God rained down upon these cities was so hot that it burned the limestone blocks that were used in the construction of the cities. The ash there today is composed of Calcium Sulfate and Calcium Carbonate which are by-products of the limestone and sulfur burning. The evidence is clear. 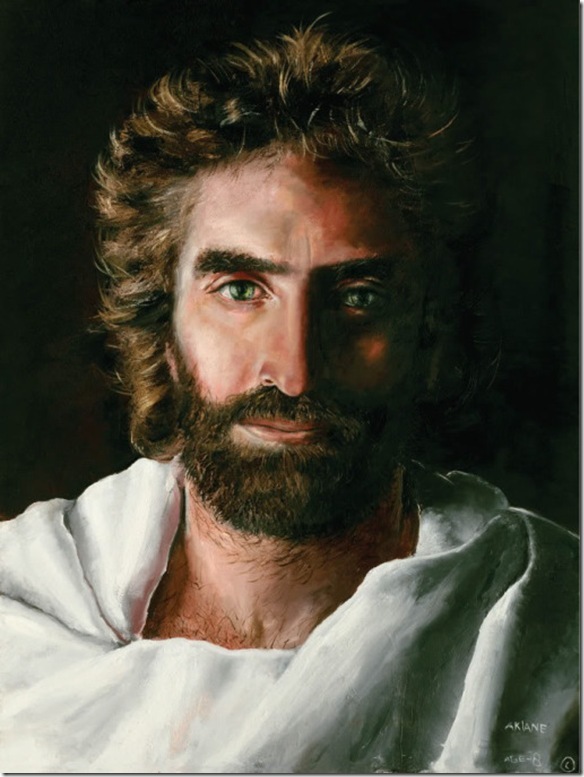 You can believe the stories are real and the Bible is true! 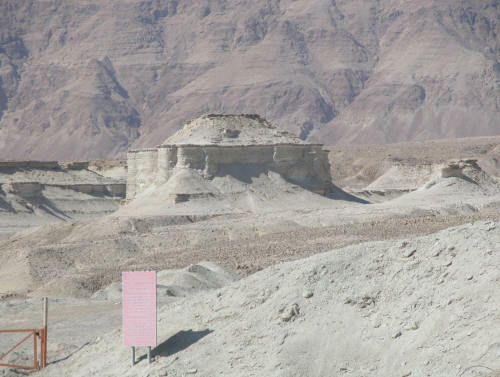 We urge you to visit ArkDiscovery.com to see more archaeological evidence for the existence of these cities in the land of Israel.